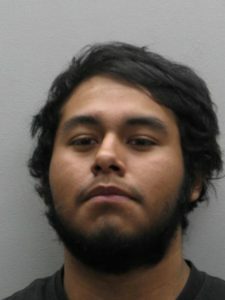 (4/6/18) Sully District, Fairfax County, Virginia – Homicide detectives identified and arrested a suspect in the murder of 17-year-old Matthew Ortega on February 14 in Centreville. 18-year-old Uriel Josaphat Espinosa Cruz, of Fairfax, was arrested for murder and use of a firearm in the commission of a felony. He is being held at the Adult Detention Center without bond. Detectives do not believe this to be a random incident. The investigation is ongoing. We will provide updates as they become available. **UPDATE** According to a jail spokeswoman, he also has an ICE (Immigration and Customs Enforcement) detainer on him. The most victimized community to the violence associated to illegal aliens are first and second generation Latinos. Law enforcement shows from Jan. 2014 to Oct. 2017 in Fairfax County, 35 percent of homicides are connected to gang activity fueled by illegal immigration aliens. Demand that our county Supervisors deport illegal alien criminal invaders in county jails. BORDERS, LANGUAGE, AND CULTURE DO MATTER! Please donate to help me continue to write articles, maintain the website of BurgosTruth.com, and to continue to afford the time for my activism in Virginia politics. Sharon Bulova, the Chief of Police, and Sheriff Kincaid have openly declared war on the good men and women of Immigration and Customs Enforcement in order to get future votes from illegal aliens from Central America should they (as the 3 Stooges hope) get amnesty. The dead bodies are just “acceptable losses” for them in their big plans for amnesty from the next Democrat Congress/President. Evidence of political accomplices to murder is building. Where is his immigration status posted? I don’t see anything on the FCPD website that indicates he is an immigrant or an illegal immigrant. Thank you for responding. As the investigation moves forward we will update the case. Thanks you for your compassionate response. Thank you for update. Imagine if that animal that sits in jail was not living in our area illegally. The other boy would be enjoying his last two months of high school and his family would not be grieving.